Newmatic 370 is a professionnal version of the CAP 370. Robust and offering good free-board, the Newmatic 370 is very stable and dry. Available in console version as well. The hull and deck design are perfect for rescue operations as they keep passengers dry during transport. Fire services in particular rely on this boat when wounded survivors are being rescued. The V shaped bow is great for cutting through waves. 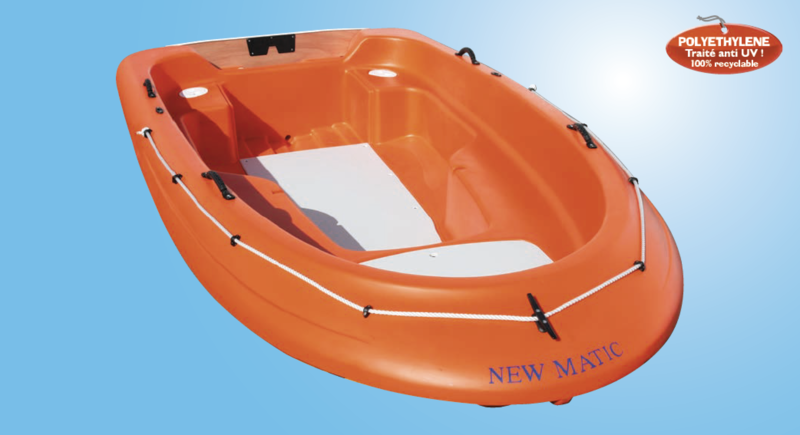 Very stable and secure, this boat is relied on daily by numerous rescue professionals.